For some, there’s nothing more panic-inducing that sitting behind the wheel of a car. For others, that feeling of anxiety sets in when they’re in the passenger’s seat. Either way, experiencing anxiety while driving is very real and a very debilitating issue. You may let your fear of driving influence your everyday life, avoiding the task at all costs. If so, you’re probably familiar with the sweaty palms, accelerated breathing, and invasive thoughts of losing control of the vehicle while driving. As with other triggers of anxiety, it’s important to pinpoint the root cause of these symptoms. Here we take a look at what causes driver anxiety, and some of ways you can reduce it. Why Does Driving Cause Anxiety? From speaking in public to moving to a new apartment, even seemingly normal everyday experiences can trigger an anxiety attack. Driving is no different; it’s an inherently stressful activity. Whether it’s the traveling at high speeds on the highways or the worrying about the less-competent drivers sharing the roads, driving can be an incredibly nerve-racking experience for many. But you should also know that feeling anxious when driving is entirely normal, and can be treated. Driving anxiety comes in many different forms. It may be panic attacks, it may be performance anxiety, or it may even be worries over perceived perilous situations when you’re behind the wheel or in the passenger seat. It’s therefore crucial that you determine which one is triggering your symptoms so you can act accordingly. One of the most common, and most disconcerting, causes of driving anxiety arises when you suffer a panic attack while at the wheel. Panic attacks can cause heart palpitations, sweating, and hyperventilation, and can even make you feel detached from your surroundings, all of which will make it difficult to concentrate on the road. This leads to concern about putting yourself or others in danger, which in turn leads to a reluctance to drive again. Also, because you’re worried that driving will trigger another panic attack, that in and of itself can cause an attack. And on the cycle goes. Suffering performance anxiety (the fear of doing something in front of others) is quite common in drivers who don’t gain much experience driving once they’ve received their license. If you lack the practical experience of the open road, it can result in a reduction in confidence and an increase in symptoms of anxiety. You may worry about causing, or being the victim of, a traffic accident, or you may feel your driving is coming under the scrutiny of other drivers or law enforcement. All of this worry can build to a point where you no longer wish to drive and seek an alternative means of transport, therefore limiting your ability to get around. Driver anxiety can also come about as a response to a past bad experience when driving. Whether you have been involved in an accident, or a near miss, these experiences tend to play on the mind and reinforce a fear of driving. If you’re prone to reliving bad experiences and letting them cloud your judgement, this can result in increased anxiety every time you need to get in a car. As with other causes of anxiety, overcoming a fear of driving takes time. 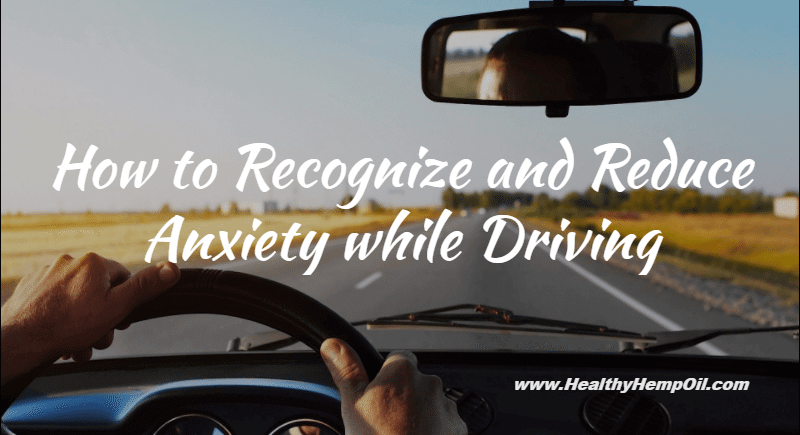 It’s important, however, to realize that it’s nearly impossible, and inadvisable, to completely remove anxiety from the equation when it comes to driving. You should still feel a small amount of anxiety when in control of a motor vehicle, as this is what will keep you alert to your surroundings and ultimately make you a better, safer driver. Rather, you must focus on reducing your anxiety and fear to a reasonable level so it doesn’t interfere with your ability to drive from A to B. Not the easiest thing in the world, and you may require some professional intervention to even get to this stage, but facing your fear head on is often the most effective approach to reducing the fear and anxiety caused by driving. If you wish to overcome your fear and control your symptoms of anxiety, you must get behind the wheel at every reasonable opportunity. By continually avoiding driving, you’ll only reinforce your fear. As obvious as this may sound, when you’re out on the highway, you have to appreciate that the only car you can control is the one you’re driving. Therefore you need to ensure that you’re not making your anxiety worse by taking unnecessary risks. If you keep within the speed limit, check your blind spots, and always signal before turning, you’ll be less likely to run into issues. As you continue to drive without incident, then your confidence will increase, your fear will decrease, and you’ll have more control over your symptoms of anxiety. Increasing your time behind the wheel can only be beneficial, and it’s a great idea to do this in a low-stress environment, such as a quiet stretch of road or an empty parking lot with no other cars around. The more driving time you can get under your belt, the better you’ll feel about your own ability, and the more likely your feelings of anxiety will dissipate. When you recognize that you are feeling stressed and anxious, try to do something about it. Practicing mindfulness helps you take control over your emotions and become more present in the moment. Ultimately, there’s no magic wand that you can wave to eliminate fear and stress in one fell swoop. Rather, it takes time and work to recognize what’s causing these feelings. You must then learn how to control them, increase your confidence on the road, and reduce your anxiety to a comfortable level when behind the wheel. Only then will you start to feel better about driving or traveling in a car. Have you experienced driver anxiety? How did you overcome it? Tell us in the comments. Synthetic CBD: How Does it Compare?